In Australian politics, a salient message was delivered recently to business executives about going ‘off the record’ – it cost a Victorian State Government Minister his job. In today’s society, the media needs large volumes of information faster than ever before. The growth of social media and online publications is pushing the traditional media to get this information, sometimes at any cost. In this environment, ‘off the record’ comments can become an easy opportunity for competitive advantage. The truth is, ‘off the record’ is never really ‘off the record’. In effect, in going ‘off the record’, you’re actually asking the reporter not to do his or her job. Their job is to find information and report on it. To fulfill this, all they have to do is put your ‘off the record’ comments to someone else and get an ‘on the record’ response. There is always someone around your business who is ready to go ‘on the record’ – competitors, dissatisfied current or former employees, or disgruntled customers. Simply stated, never expect anything you say around a reporter not to hit the media in some form or another. Simply assume that whatever you say will be online today or on the front page tomorrow. Therefore, the rule for ‘off the record’, if one understands the media and how it operates, is to assume it doesn’t exist. In short, fully understand the information game you are playing and how to play it. Don’t blame the journalist for what you have told him or her when it appears on, or in the news. Journalist have their job to do, so too do you. Carefully think about everything you say, don’t be pressured into commenting on things you don’t feel comfortable about, stay on message, don’t speculate, don’t try to show off how much you know and don’t gossip. 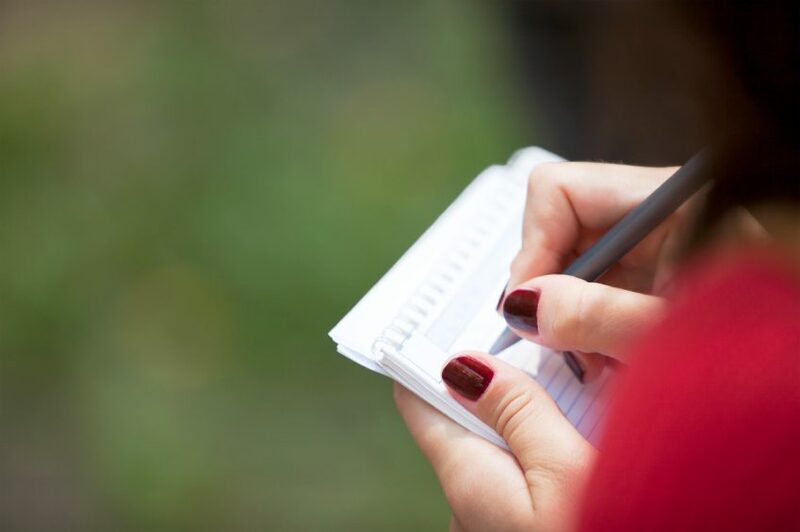 Being knowledgable about working with the media is an increasingly important skill for any senior executive’s. RMKA has been working in this area for decades and can assist by delivering a thorough grounding in media relations and training, developing and delivering key messages and staying smart! Too expensive or too slack? Is Australian retail too expensive or too slack to compete in the 21st Century? If you have any suspicion that the answer could be yes the critical question becomes, what do your customers experience as a result? Warning: here comes a grumpy old man story. Recently we attended a parent group dinner at one of those “Local Taverns”, which is to say a thinly disguised pokies hole. Having resigned myself to a substandard meal, accompanied by excessive noise, I really didn’t expect much. What I got was even less. Having ordered a veal schnitzel at the counter (no chips, extra salad), announced on delivery was a “chicken schnitzel no chips?” When advised of the error the young plate-deliverer firmly retorted: “Well what’s the difference between a chicken schnitzel and schnitzel anyway?” One presumes she meant apart from one previously mooing while the other clucked. Mentioning legendary Soviet Union service levels came to mind but, given her infant years, I doubt she had ever heard of the place. One wonders at her reaction should the local Apple store deliver her a Chinese knock-off eyePhone. You may well ask what do you expect of a place where the large screens are filled with a constant series of Keno numbers? I understand it is hard, in this country, to get good hospitality staff. No one wants to do it, and many of those who do ably convey a commensurate level of enthusiasm. A recent trip to the United States brought the differences in service levels into sharp relief. We don’t necessarily want the USA $7.25 per our minimum wage with up to 20% tip scenario here. However, one can’t help thinking that a greater focus on some sort of performance incentives would help create better customer experiences. For the “tavern” in question there would seem little point to put in place any sort of customer service measures and incentives. Staff seldom stay longer than a few months and the whole place is focussed on just keeping gamblers in the building. Is that the situation in your business? Can you afford to ignore customer experience? Recent ICG mystery shopping exercises, across a number of industries, have exposed concerning service issues. In a world of easy Internet shopping physical retail needs to exploit every opportunity and must offer an experience not possible online. Obviously that is easier in the retail of large purchases that benefit from the customer physically trying the product, say, automotive. But even in such retail the opportunity for customers to cross-shop and undertake detailed research online creates challenges in maintaining both service and profit levels. During such exercises the range of experience delivered to ICG researchers covers everything from walk-in customers being totally ignored, to poor standard-form email responses to internet enquires, to the classic never calling the customer back on a telephone enquiry. Good operators (and they tend to be individuals not entire organisations) know their product, engage with the customer and follow up quickly. They get the sales. The others appear to aggressively (or even passively) staff their station or desk. The only way to improve group performance is good old-fashioned training, incentives, measurement and accountability. ICG’s mystery shopping exercises are often accompanied by the development of management plans covering all these actions. To extract the maximum value from your investment in people you need to know what level of customer experience your retail staff are delivering and to plan for continual measurement and improvement. The alternative to providing positive customer experiences is the complete commoditisation of whatever you are selling. Today that means the lowest Internet price sets the market and the profit (or loss) level. There will always be price shoppers and there will always be shoppers who appreciate proper service. Which group is likely to deliver better margins? The next time you read of some mega-retailer complaining that the Internet is stealing their business think of the level of service delivered at their barn (let alone any interest shown in the customer). Finally, an example of how not to compete with online. Recently a high-end clothing store in one of the fashionable (and dying) strips introduced a policy of charging browsers $5 (refundable on purchase) for “just looking”. They claim this is their counter strategy to “shopfronting”, the practice of trying something at retail outlet then buying it online at a lower price. What a wasted opportunity! Perhaps if they focussed a little more on providing a customer experience that justified their premium they could convert more of the “shopfronters”, who are actually in the shop, into buyers. Another “For Lease” sign will not be far away. 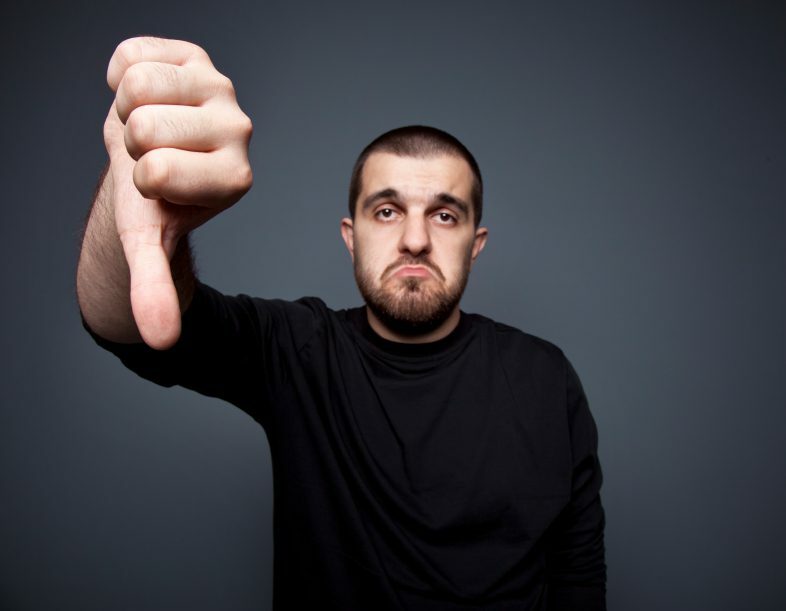 https://www.rmka.com.au/wp-content/uploads/2013/05/Male-thumbs-down-unhappy.jpg 611 786 John Kananghinis https://www.rmka.com.au/wp-content/uploads/2015/08/logo-300x132.png John Kananghinis2013-05-09 09:47:452013-05-09 09:47:45Too expensive or too slack? 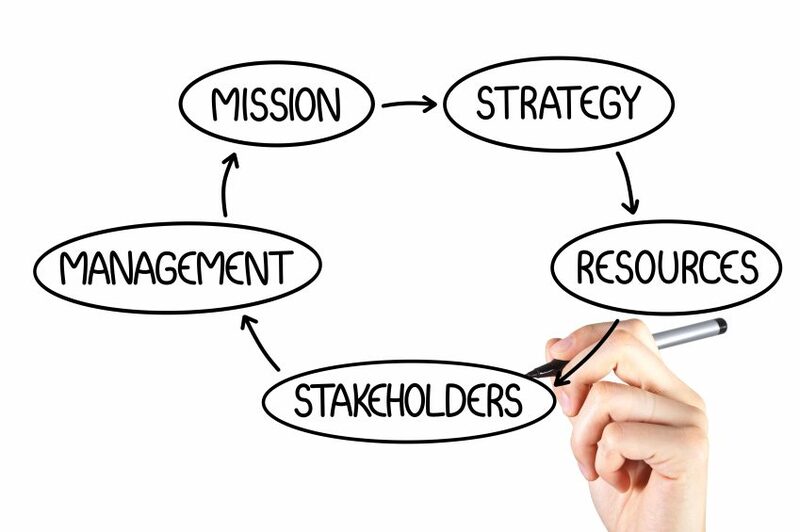 RMKA has recently completed external stakeholder audits for two substantial community organisations. In both cases, the studies turned up a rich lode of usable information. External stakeholder audits involve finding out what the people you deal with think of you. It’s a gutsy initiative but an essential one in the interests of organisational improvement – particularly in meeting stakeholder expectations. The audit begins with the consultancy and client organisation agreeing on information objectives: What do we need to know? The client then produces a list of potential interviewees whose opinions the organisation would like to plumb. Frequently, the consultancy will have input into the list, but most of that information needs to come from the client. The consultancy then drafts a personalised letter that the client sends to the potential interviewees seeking their participation. In our experience, it is rare for people to refuse to participate, even though we are typically dealing at very senior levels. The consultancy then organises and conducts one-on-one interviews with the participants. Once interviews have been completed, the consultancy prepares a report that summarises the findings of the interviews and provides a set of concrete recommendations for follow-up action by the client. The exercise normally takes two-three months to complete – largely because of the difficulty we have in pinning down senior people to commit to interview times. The interviews typically run for about 45 minutes. We don’t filter or soften messages and interviewees are inevitably candid and expansive once they get into the swing of the interview. This means the report can be quite confronting. The study is biased in that we are deliberately looking for problems because it is the problems that give an organisation a platform for improvement. But despite being assailed by a flurry of negative messages, client organisations inevitably take the messages on board and follow through with actions to remedy the problems. The organisations are well prepared for negative comment: they made the hard decision when they commissioned the study. ICG consultants are always invited to present the findings and recommendations to senior executive teams and often to Boards of Directors. External stakeholder audits are a valuable tool for business improvement. They should be an essential planning device for all large organisations.